HZS25 is a welcomed mini ready mix concrete plant with flexible combination of twin-shaft mixer, batching machine and related equipment. 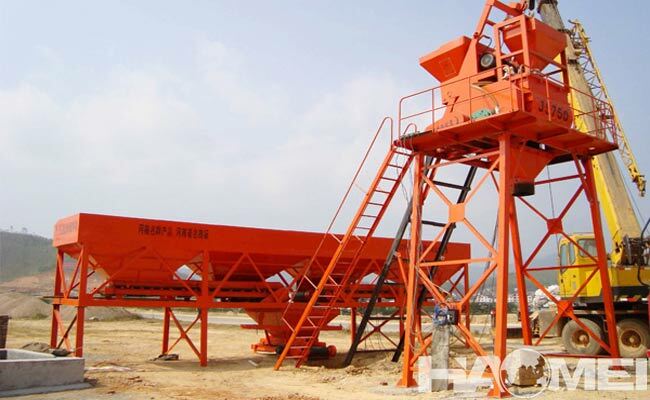 Mini concrete plant has simple structure, high production efficiency, convenient disassembly and convenient construction. It is suitable for all kinds of medium-sized prefabricated components factories and industrial and civil construction projects such as docks, roads, bridges and water conservancy. 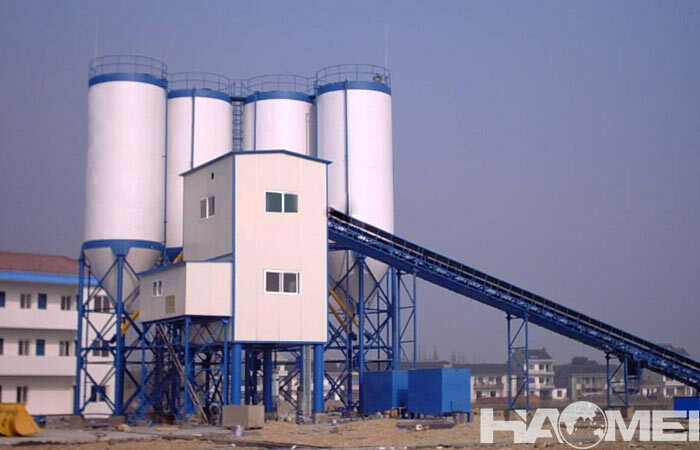 Hzs25 ready mix concrete plant can be used to mix dry hard concrete, lightweight aggregate concrete and various mortars. The theoretical productivity of ready mix concrete plant HZS25 is 25m3/h, which means that the HZS25 small concrete mix plant produces 25 cubic meters per hour of concrete. However, whether it is a large-scale factory equipment or a small-scale factory equipment, the actual output is not up to the theoretical output. 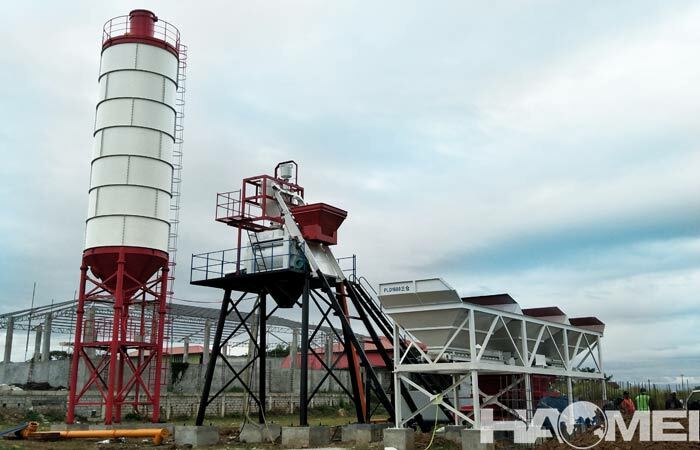 Under normal circumstances, the mixing circle of mini ready mix concrete plant is not more than 1 minute, but only if all materials are ready, only the mixing time is considered. 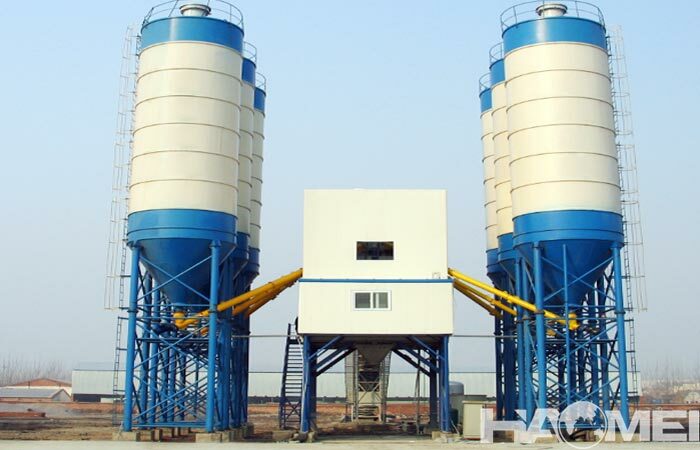 However, our common concrete mixing plant use a two-stage production process. There will be time delays in batching, feeding, and unloading, so the entire production cannot reach the theoretical state. The HZS25 ready mix concrete plant uses a JS500 concrete mixer with a feed output of 0.5 m3 per agitation. According to actual production experience, the time for a mini batching plant to produce concrete once is usually within 1.5 minutes. 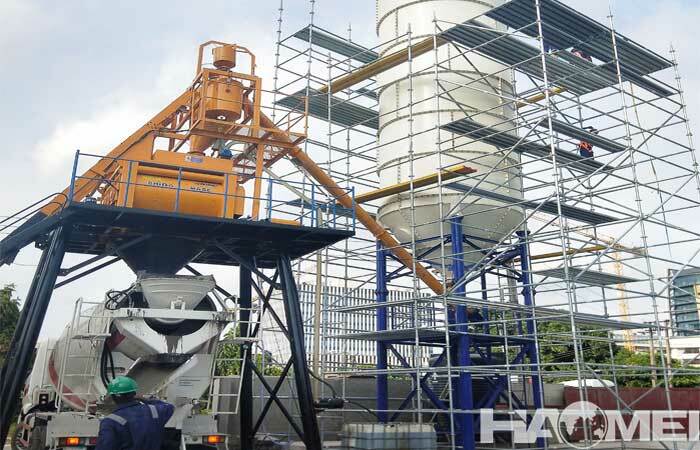 With a production point of 1.5 minutes per shift, 40 cylinders of concrete can be produced in one hour, so the actual hourly production of the HZS25 mini ready mix concrete plant can produce about 20 cubic meters of concrete. 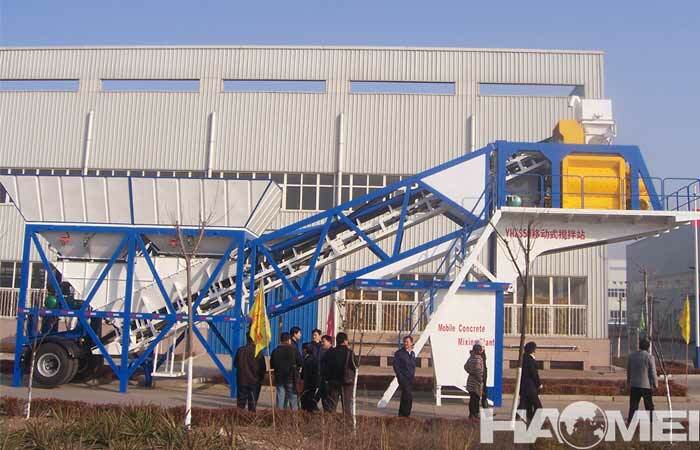 Therefore, the HZS25 ready mix concrete batching plant produces between 20-25 cubic meters concrete per hour.